Okay, I’m getting older and I am starting to find good and effective anti-aging products. Who wouldn’t want to stay look young right? As early as now, I want to start including anti-aging products in my skin care regimen. I must admit, I see some fine lines going on in my eye area and it’s freaking me out. So last Sunday, we went to Eastwood for a stroll and luckily found out that they have Beauty Bar outlet inside. 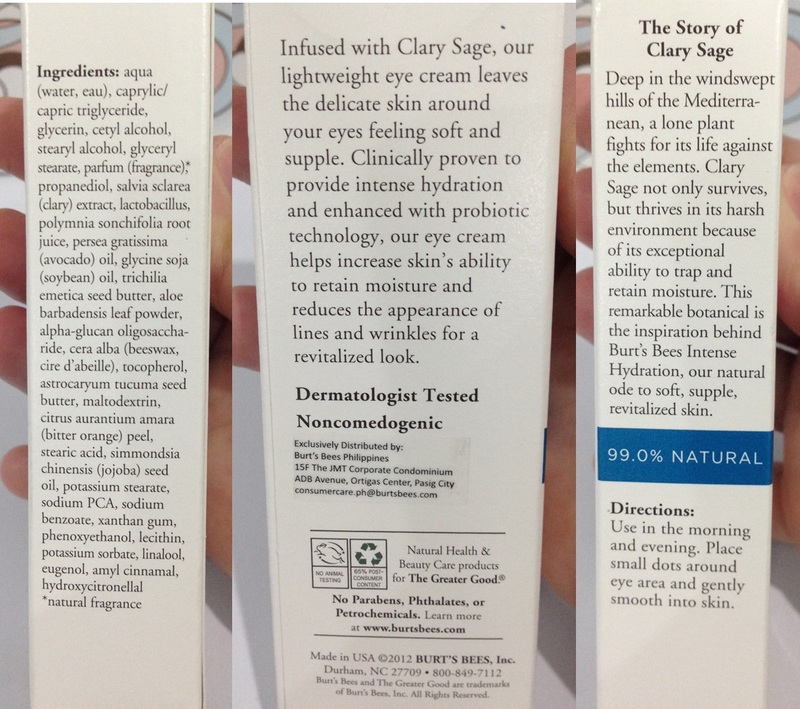 I was able to purchased this Burt’s Bees Intense Hydration Eye Cream with Clary Sage for 1450php. This comes with a pen-like tube containing 0.5oz / 10 g of product. Applying this cream is a breeze, just place dots around the area and smooth it out using your ring finger. You will feel the softness under your eye area once it is set. This product goes a little a long way so it will take time to finish this product. As promised, sharing you the outcome after using it in a month. Hmmmm, I still see my dark circles and fine lines. However, I feel that my under eye area are well hydrated which I really love. Small amount of this product goes a long way so I will continue using until I finished it before I skip to another eye cream. 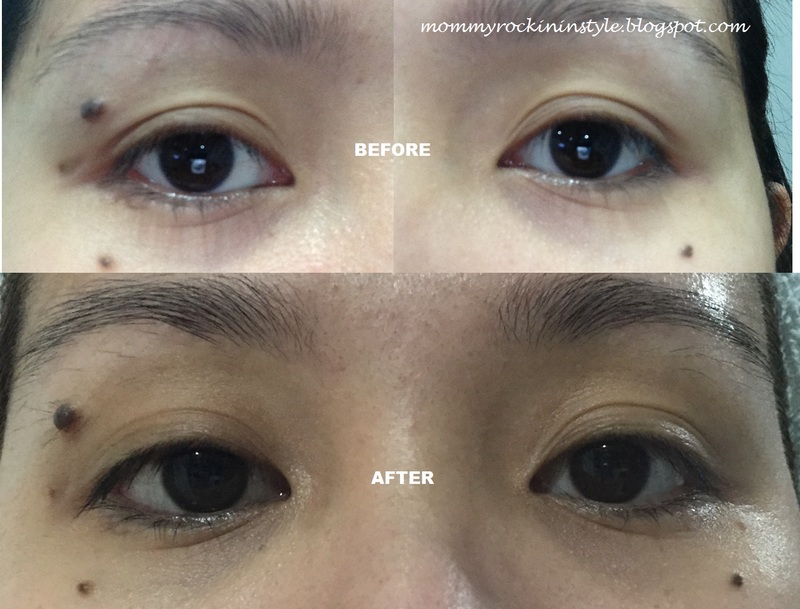 Have you tried this eye cream too? If not, what is your favorite eye cream?